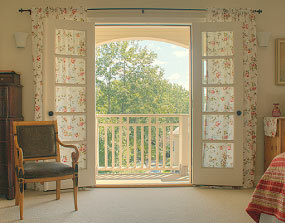 When de-cluttering, tackle one project at a time, then open those windows and let the fresh air in! When you donate articles to a charity, get a receipt for your tax purposes. Have a friend or a professional help you address the underlying causes of disorganization, so you can remain organized for life. Being organized will give you more time to spend on what matters most—family, friends, work, school, or hobbies. Purge clothes you haven't worn in two years, files that you don't need anymore, the documents related to the apartment you no longer live in, or the car you sold last year. Before you move, cancel cleaning, landscaping, and any other household maintenance services. Once your house is sold and you have a closing date, schedule the removal of left over items from your house. Contact More Than a Move for a free checklist for planning home improvement projects. It will help you when you learn the tile you ordered for the bathroom won't be shipped from South America for at least 6 months. To prepare your home for selling, have a staging professional make an objective assessment of your home and list suggestions, such as replacing dated fixtures. When staging your home, don't overlook its curb appeal. That's the first thing potential buyers will see. More Than a Move can do the heaving lifting for you. We can help you prioritize tasks, recommend places to donate to, and even arrange estate sales and garage sales. We’ll work with you side by side, providing tactful encouragement throughout the whole process. Just contact More Than a Move, and leave the rest to us.